Elderflowers have been used in skin treatment creams and teas. They have found a place in beer and winemaking as well. The flavor is light and refreshing, somewhat reminiscent of chamomile. When added to light beers, elderflowers have been described as giving them a "summer" character. Delicious and soothing, these would make a good addition to blondes, cream ales and wheat beers. 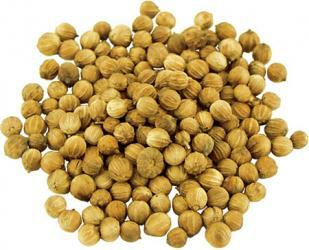 Coriander seeds are most commonly used in the brewing of Belgian Witbier. 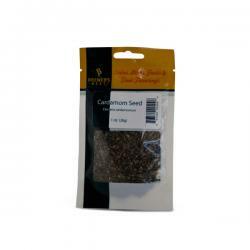 They are small seeds that are cracked and added to the end of the boil in order to contribute a lemony, spicy flavor and aroma to beer. These flavor and aroma characteristics work well in conjunction with other herbs, fruits and spices, such as orange peel, lemon peel and lemongrass. They can be used in any beer where a lemon citrus and slightly spicy flavor is desired. 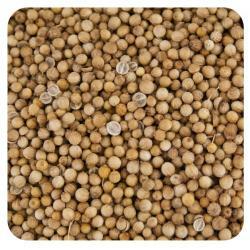 Coriander may also be used in Grand Cru, Belgian wheats, or in any beer your mind can come up with! 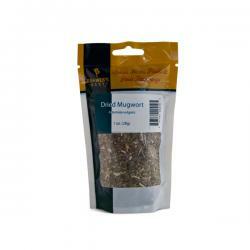 Mugwort was an herb used before the widespread use of hops to bitter beer. 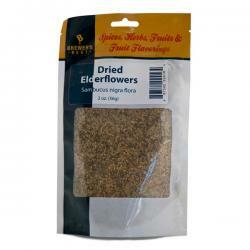 Its flavor is sage-like, and may be used by brewers trying to recreate ancient and traditional beers. 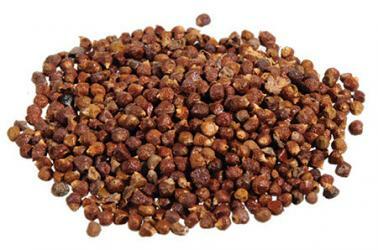 It is best used in holiday, Belgian specialty, and smoked beers and is complimented by the flavors of orange peel, juniper and licorice. The principal ingredient in the legendary liqueur Absinthe, wormwood use dates back to before 1600 BC. While used historically as a beverage ingredient, the FDA advises against the internal use of wormwood due to the substance thujone. 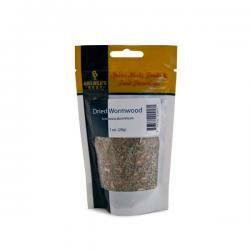 Wormwood can be used as a bittering agent for beer; however, a little goes a long way. Caution should be exercised when it is used in conjunction with or as a replacement for hops.It has flavor characteristics resembling mint and licorice. 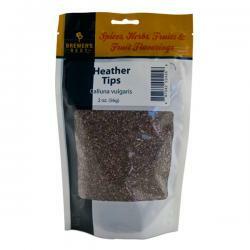 Heather tips are a unique herb that are sometimes used in brewing. It is both the flowers and the greenery of this wonderful herb which impart a pleasing aroma and smooth bitterness to beers. It is especially appropriate for a Scotch ale known as Fraoch. With a flavor similar to a subtle chamomile/mint blend with a hint of lavender, heather pairs well with honey. It's also great for tea, with reputed calming qualities. 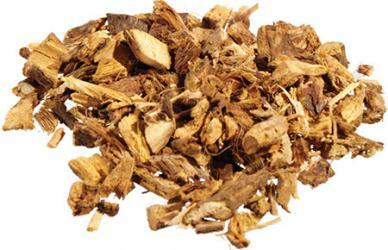 Chicory root has been used as a coffee substitute and as a tea, either by itself or as part of a blend. Because it shares flavor characteristics with coffee, it can be used to add a certain amount of roast or coffee flavor to beer, or together with roasted malts to accentuate their flavors and aromas. Pairing well with stouts and porters, try it when more roast, color and richness are desired. Bitter orange peel is a dried orange peel from any of the varieties of oranges bred from pomelos and mandarins. They are a key ingredient in Belgian-style witbiers, where they are often paired with coriander and chamomile, among other aromatic spices, herbs and fruits. 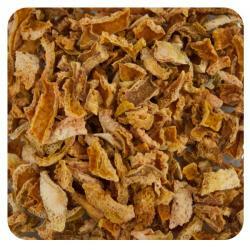 Dried bitter orange peel can be added at the end of the boil to add a characteristic citrus-herbal flavor and aromatic character to beers. As with any ingredient, bitter orange peel is not limited to use in one beer style alone. Get creative and see what magic you can work with a little extra bitter orange peel! 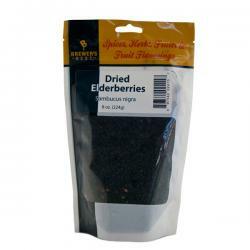 Elderberries are a small berry that are becoming more prominent in beer brewing. Recently, Magic Hat has come out with and Elderberry Weiss in which the elderberries are used to add a tart character to the beer. Wheat styles, as well as some fruit beers will benefit from an addition of elderberries to accentuate natural tartness and acidity in certain fruits and in certain flavor compounds produced by yeasts. An interesting addition to beer that has a lot of potential. Why not try some today? 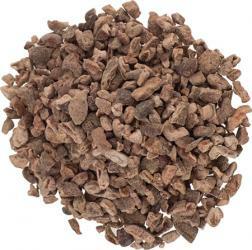 Cacao Nibs - Ghana, 4 oz. 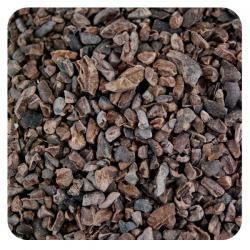 Cacao nibs are a partially fermented product that are used in the production of chocolate beers. 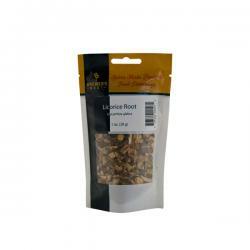 They can be added to the boil or the secondary alike to produce beers with a strong chocolate flavor and aroma. Delicious and inviting, the possibilities for using cacao nibs in brews are endless. Chocolate porters and stouts are the first beers that come to mind, but with a little ingenuity, other amazing chocolate beers can be made with cacao nibs. Why not combine these with powdered peanut butter to make the ultimate chocolate peanut butter porter? Cardamom is a distinctive spice from the same family as ginger. 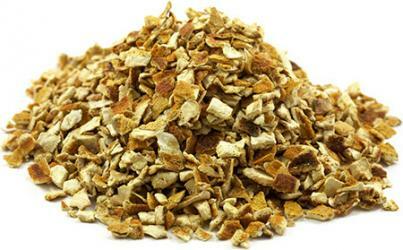 It has been used traditionally in Indian cuisine, either alone or in a mixture called masala or garam masala. Its flavor, which has been described as a "spicy cola", combines well with coriander, cumin and orange, and often all are used together in specialty Belgian and Holiday Style beer. Dry-roasting cardamom (as well as many other spices used in brewing) for a few minutes can help bring out the aromatic qualities and lets them shine through in beers. Licorice is a rich flavor that is often associated with dark, herbal notes and is reminiscent of anise, though the two can be quite different when tasted side by side. 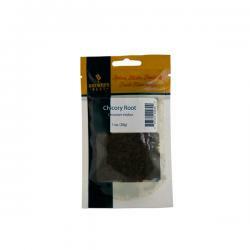 For porters, stouts and dark ales licorice can't be beat! It not only adds a pleasing flavor, but sweetens and improves head retention as well. Use 1/2 to 1oz. per 5 gallons of beer. 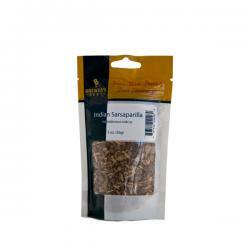 Indian Sarsaparilla has been used for centuries in traditional medicine. These days, it has applications in beer making and soda making. Refreshing sarsaparilla soda is made from a root beer type base to which has been added several of many roots and herbs. In beermaking, it can be added at the end of the boil to contribute a root beer-like flavor. It has been suggested to use this in making unique pale ales, amber ales, and porters. Try it and see what you can make! 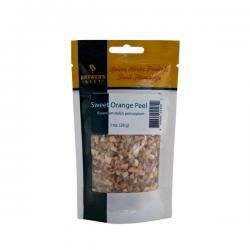 Sweet Orange Peel, 1 oz. Sweet orange peel has flavors and aromas similar to domestic Florida oranges without the metallic taste that is sometimes attributed to Florida-grown varietals. Those familiar with Gran Marnier will quickly recognize the sweet orange flavor that comes from these dried peels. Sweet orange peels can be used as an alternative to bitter orange peel in Belgian witbiers. They can also be used to great effect in holiday beers, or in any beer where a sweet orange flavor is desired.